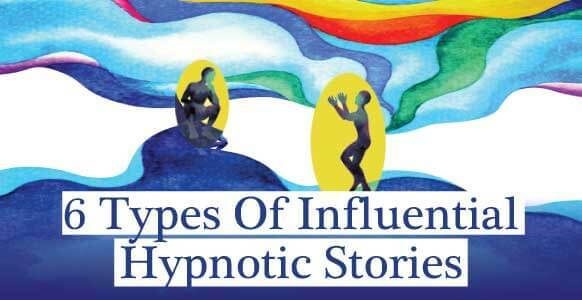 Hypnosis has been around since at least the 1700s. Back then, Franz Mesmer, an Austrian physician, referred to it as “animal magnetism” or “mesmerism.” More than 300 years later, hypnosis has evolved and remains in use today. In fact, its popularity still keeps growing steadily. But before hypnosis was accepted as a form of therapy it was widely used as a form of entertainment. Gradually it gained attention as a highly effective, non-invasive and respected form of therapy. Now more than ever hypnosis is a highly relevant practice. That’s why as a hypnotist, it’s important to stay on top of current and emerging hypnosis trends. As a rule, hypnosis won’t suddenly switch course because of new trends in the way that, say, technology does. 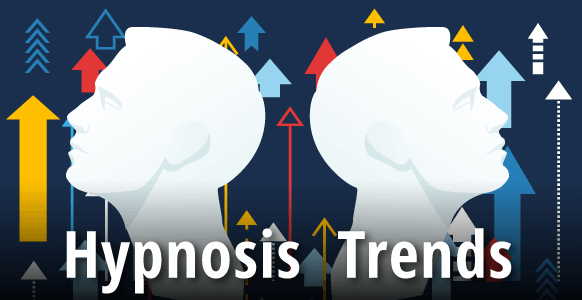 It’s more likely to have slow-burning issues which eventually expand in popularity and the hypnosis community adapts techniques and strategies to address new needs. Which is why we’ve put together this list of the top emerging trends so you’re up to speed with the changing array of issues your subjects and clients may come to you for. What’s more, this list may give you some inspiration if you’re looking to specialise in a particular niche. As a therapy, hypnosis is frequently used to help people stop smoking, lose weight and gain confidence. 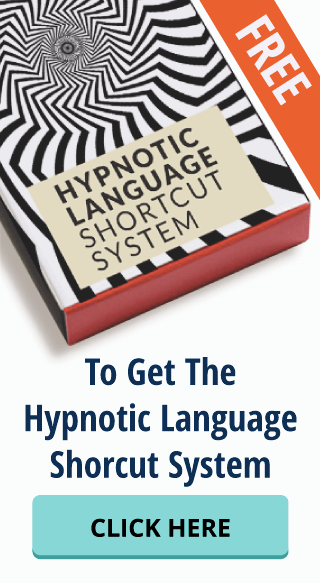 Successful treatment for these problems is how many people have come to understand hypnosis’ incredible potential. Recently, in an attempt to stop smoking, people have been turning to ‘vaping’ (electronic ‘cigarettes’) as an alternative. Unfortunately, recent studies from the American Association for the Advancement of Science reported vaping may not be as harmless as originally believed. The toxicology study took cell samples from the nostrils of three categories of people: those with a history of smoking, a history of vaping, and those who never smoked or vaped. Next, the activity levels of 594 genes associated with the body’s ability to fight infections within the cells were measured. Within the group of smokers, 53 of the genes were found to have diminished activity, as was the case in people using e-cigarettes. Additional studies have found that the liquids and flavorings used in e-cigarettes suppresses the cell function meant to fight infection and has a negative impact on the nasal passages, lungs and bloodstream. As these findings are becoming public knowledge and people become more aware of the considerable health risks associated with vaping, many e-cigarette users will likely need help to wean themselves off the habit. 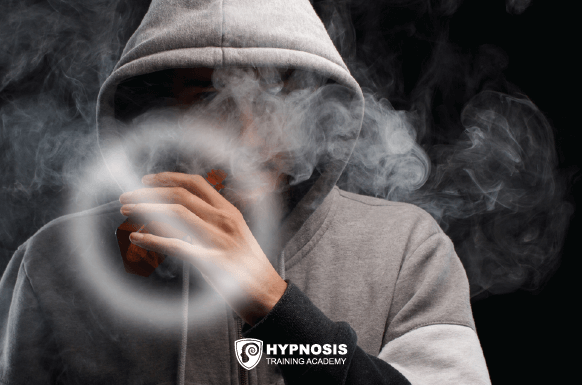 And as hypnosis is a widely known and respected treatment used to help people quit smoking, it’s likely hypnotists will start seeing more “vaper” subjects. 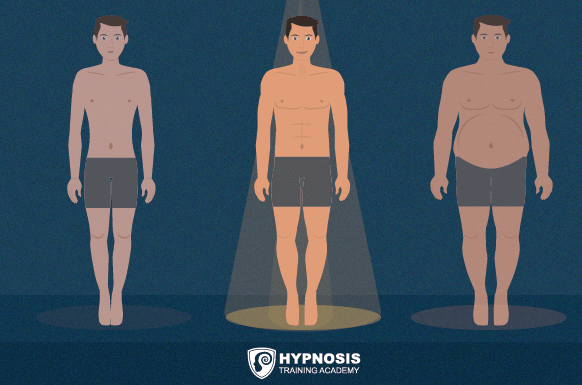 When it comes to weight loss, the use of hypnosis has expanded to include weight control as an effective way to help people gain weight or maintain a healthy weight. Specifically for weight loss, a common technique is the hypno gastric band which continues to gain popularity as a non-invasive alternative to the surgical procedure. University of Hull is conducting clinical trials to compare the effects of Virtual Gastric Bands with Relaxation Hypnotherapy and following a self-directed diet. It’s also worth noting, a clinical trial implies that Relaxation Hypnotherapy has become acknowledged as an effective weight loss practice and potentially a better alternative to surgery. This is a huge step forward for the recognition of hypnotherapy by the academic and medical community. Over the past decade the perception of mental illness has improved and people are starting to let go of the shame previously associated with it. Thanks to this, mental health is now often given the same importance as physical health. In the UK, you can already see a shift in mainstream media. For example, some TV commercials openly advise to treat people with mental health issues as they would treat any other person, and suggest listening to them. What’s more, the government announced it will bring mental health funding on par with physical healthcare funding. However, some figures suggest mental health trusts in the UK are still suffering. In 2015-2016, 40% of the 58 trusts had budget cuts according to analysis by the King’s Fund Think Tank, and 6 of the trusts had budget cuts for 3 consecutive years. As a result of cuts to mental health services, reports of failure to protect patients with serious mental health issues have increased. It naturally follows that without adequate services for patients in desperate need, it will be increasingly difficult to prevent escalation of mental health issues. Even though public campaigns encourage people to seek help before their illness gets worse, when they do follow the advice, the needed services are often lacking or unavailable. Non-governmental groups are also stepping up to address the growing demand for mental health services. The Samaritans, a UK volunteer based suicide prevention organization have outlined a need for a suicide prevention plans in every area of the country where more than 6,000 people commit by suicide each year. In recent years, mental health services have accepted Cognitive Behavioral Therapy (CBT) as a cost effective means of relieving some of the burden placed on them. As the gap between hypnosis and conventional medicine continues to shrink, it’s likely there will be an increased demand for hypnosis to treat anxiety related issues and to prevent more serious mental health issues. 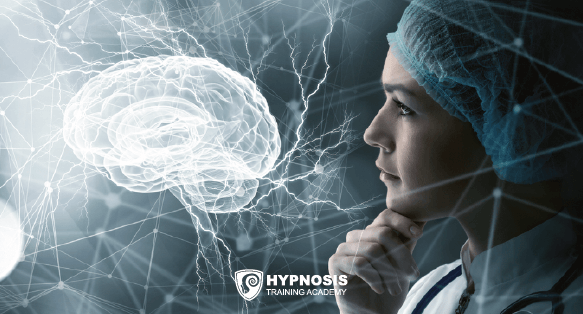 Over the last decade, medical research has found significant benefits of hypnosis for medical problems, particularly when used as a complementary treatment with conventional medicine. For example, many people now choose to receive dental work with hypnosis rather than anesthesia. It’s not only a great way to reduce nausea, but it’s less taxing on your system and it helps you bleed less and heal faster. Extensive research has also been carried out by leading researcher, Guy H. Montgomery, Ph.D. Dr. Montgomery is a psychologist who specializes in hypnosis and pain management at Mount Sinai School of Medicine. He implemented a study of 200 breast cancer patients about to undergo surgery. Half were given a 15-minute hypnosis session prior to the surgery, while the other half discussed their thoughts and feelings with a psychologist. It was found that on average, the hypnosis session patients required less sedation during the surgery, which lasted 10 minutes less than for those who had talked to the psychologist. In addition, patients who received hypnosis prior to surgery reported less nausea, post-surgical pain, fatigue and discomfort. From an economic point of view, the hospital could save approximately $770 per cancer patient by using hypnosis before surgery. Anyone with IBS will be happy to learn that a number of clinical studies found hypnosis to be an effective treatment. According to the International Foundation for Functional Gastrointestinal Disorders, hypnosis can have lasting effects to help rid patients of IBS. The primary symptoms of IBS have been treated successfully. More good news is that many secondary symptoms such as nausea, fatigue, backache and urinary problems can also be relieved with hypnosis. 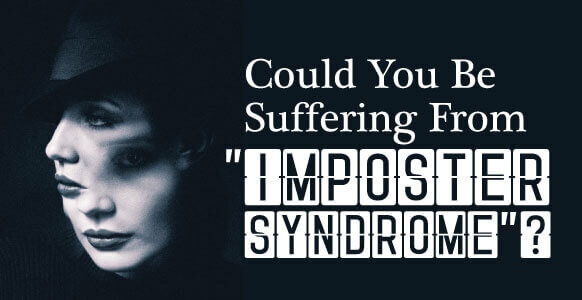 The Foundation also examined long term effects of hypnosis on patients suffering from IBS. It found that after a period of 1 to 5 years, most patients remain healthy and require zero medication. You can expect an increase in demand for hypnosis as a way to treat IBS. Calculations suggest it will become cost effective within two years compared to conventional approaches. The word “diet” is no longer only associated with weight loss. Generally speaking, people are becoming more health conscious to combat high levels of obesity and associated issues, such as heart disease. According to the Daily Telegraph, the number of vegans in Britain has risen by 360% in 10 years! For some, making the transition from a fast-food and highly processed diet to a more well-rounded one will be a straightforward process. But many will struggle to make the change even if they know it’s in their best interest. Assuming the trend towards healthier lifestyles continues, a hypnotist’s ability to help people adopt a better diet will be invaluable and in greater demand. Hypnosis has gradually moved away from its “mystical” image of the past. When it came to hypnosis, many people used to automatically picture swinging watches or more recently crystals, incense and past lives. Now hypnosis is increasingly mainstream and is more readily accepted within the medical profession. 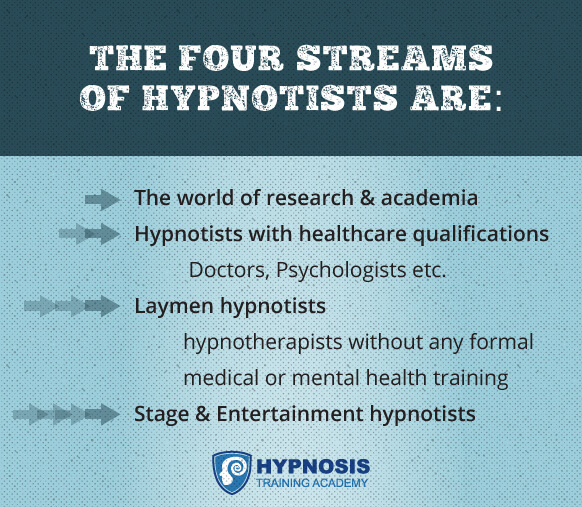 The gap is closing between laymen hypnotists (those without any formal medical training), and hypnotists within the medical profession (for example doctors or psychologists). To this end, laymen are becoming more familiar with various medical conditions and undertaking appropriate training. 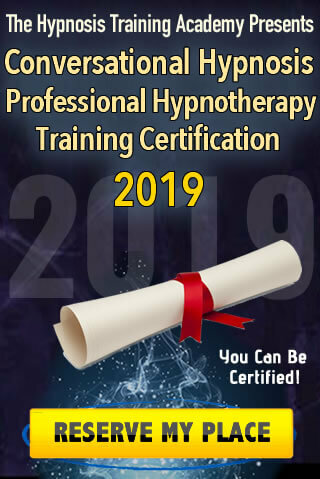 More courses are available these days that offer a good grounding for hypnotists who are keen to expand their knowledge within the field of medicine. As an example, hypnosis has been used effectively in childbirth and recently, there’s been a surge in this respect as hypno-birthing has become a specialism among practitioners, even to the point of being offered exclusively by some hypnotherapists. Typically, hypnosis for entertainment was far removed from hypnotherapy. Now the gap is closing as the two streams of hypnotists forge a mutual respect for each other’s work. For example, hypnotic “mind-reading” has always fit naturally into the entertainment world. Now however, it’s also a technique used with subjects at the start of a hypnotherapy session as a way to build rapport and ease the transition into trance. There’s also been a continued trend where entertainment hypnotists have decided to branch out by using their skills for therapeutic reasons. A prime example is Paul McKenna, widely known as an entertainer but who has also published a number of books and CDs to help people to lose weight and stop smoking. 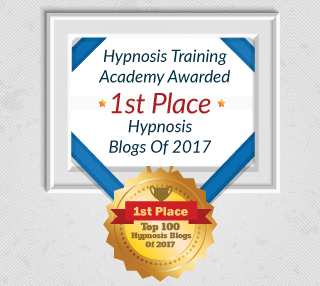 It’s encouraging to see hypnosis taken more seriously by the scientific community and the extensive research put forth to prove it’s not just a passing fad because it produces truly powerful results. For example, it has now been shown that brain activity during the altered state of hypnosis is actually different from that of the normal waking state. Scientific studies carried out by David Spiegel, a psychiatrist at Stanford University School of Medicine, have shown that hypnosis makes a lasting impression on the brain. Out of 545 healthy students, 57 were invited to take part in the experiment. Finally, 36 of the original 57 who were deemed most susceptible to hypnosis and were selected to participate. Using an MRI scanner, the subjects’ brain activity was measured by detecting changes in blood flow. Three different states were observed: while they were resting, while they recalled a memory and while they were received a hypnotic-inducing message. The subjects experienced three distinct changes in brain activity during the hypnotic state, changes that were not present when there were out of hypnosis. First off, subjects showed decreased activity in the brain region which helps us compare context to decide what’s worth worrying about. On the other hand, they found increased activity between parts of the brain that connect the mind with the body and the brain activity was similar to a daydream state rather than focused on the outside world. Dr. Spiegel believes this likely represents a disconnect between actions and the awareness of actions. A disassociation of this sort allows the hypnotic subject to engage in activities suggested by a hypnotist without becoming self-conscious of the activity. There is a growing trend towards empowering hypnosis subjects and away from a more authoritarian approach where the hypnotist was perceived to have control over the subject. In fact, in the past it was normal for skeptics to assume that only “weak” people could be hypnotized. Now, it’s far more likely for a subject to look forward to the experience even if they’ve never been hypnotized before because they know they’ll be actively involved in the process. 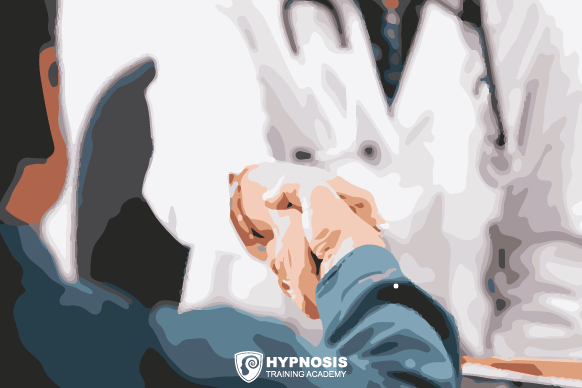 The emphasis is far less on the ego of the hypnotist, seen as exerting power over the subject, and more on a genuine desire to help and empower the person seeking their help. 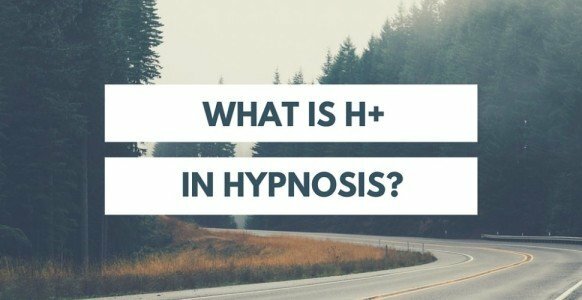 In any case, a successful outcome is far more likely to occur if the subject is committed to making a change and willing to give hypnosis an honest try. Hypnotists are becoming more business savvy, and there are a few reasons why. 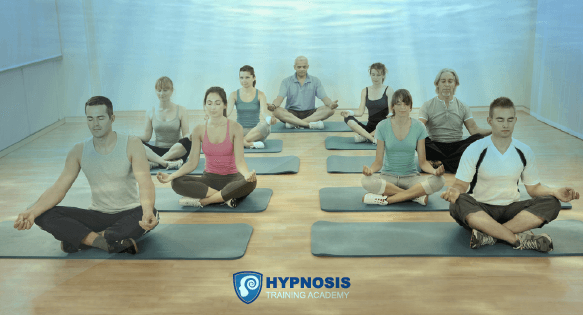 First, the growth in popularity of hypnosis as a profession means that along with a growing demand, there are also more hypnotists entering the market. In order to present their unique services and talents, effective marketing skills are a must for those looking to set up a thriving practice. Secondly, the gap is closing between conventional medicine and complementary or alternative medicine. This is thanks to a growing field of research and more regulations of complementary medicine which, of course, includes hypnosis. This growth in popularity of professional hypnotists/hypnotherapists also requires an awareness of legal responsibilities. This includes having appropriate insurance coverage and adhering to a code of conduct and good practice. 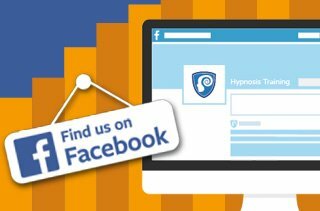 An effective way to ensure hypnotists are in compliance is to join a professional body, which offers guidance and information on cutting-edge advances within hypnosis. These professional organizations offer opportunities and advice for continuing professional development (CPD), which is a requirement for membership of most, if not all, professional bodies. In many countries, for example, there are no laws in place that outline the level of training required for someone to practice as a hypnotherapist. However, there’s a continuing trend towards regulation of the profession. For example, one of the most prominent hypnotherapy directories, the UK Hypnotherapy Directory, has a verification process in place to ensure they only list hypnotherapists who have provided copies of a relevant qualification and insurance coverage. Or they must provide proof of membership with a respected professional organization within the industry. It’s a fact that each generation, people are living longer. Economically speaking, this means we also have to work longer. So not only do we have an aging population but an aging working population. In fact, estimates predict that by 2022, a staggering 31.9% of people between the ages of 65 and 74 will still be working. That’s a 58% increase since 2002. We also have a dwindling job market, making it increasingly difficult for those in the “baby boomer” generation to find work. 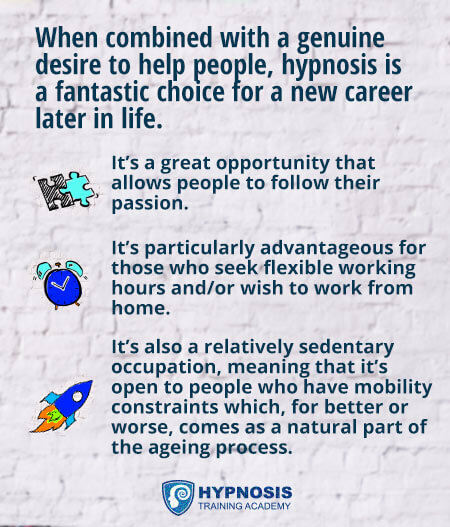 Self-employment would seem to be the best option for many and a career in hypnosis is well-suited to those who have plenty of life experience coupled with a good measure of patience and understanding. The continuing trend towards self-improvement has led to an industry worth an estimated $11 billion per year. 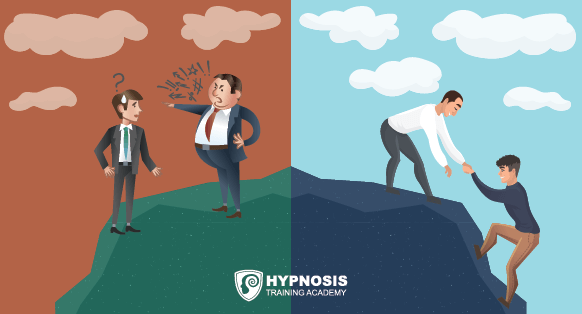 Keep in mind that, on average, smaller companies perform better than larger corporations which makes hypnosis a very attractive career option. As well, studies showed that in 2009, Americans spent an estimated $34 billion per year on complementary and alternative medicines. This is equivalent to 1/3 of the total amount spent on prescription drugs. This significant increase is largely attributed to millennials who are now the biggest consumers of alternative and natural medicines. 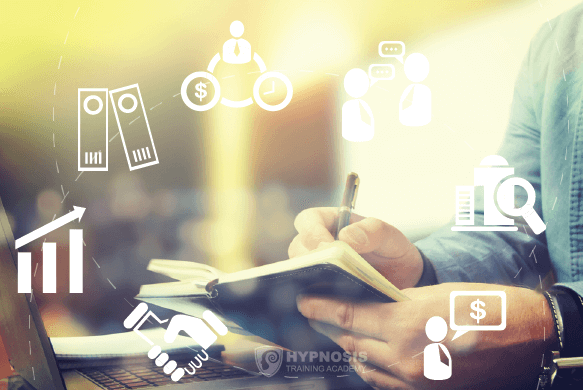 The salary for a professionally qualified and certified hypnotherapist allows for a comfortable income for many, especially as a supplemental income for those starting a second career. The median income in America is $55,350 per year, while their counterparts in the UK can expect to earn up to around £60,000 per year. 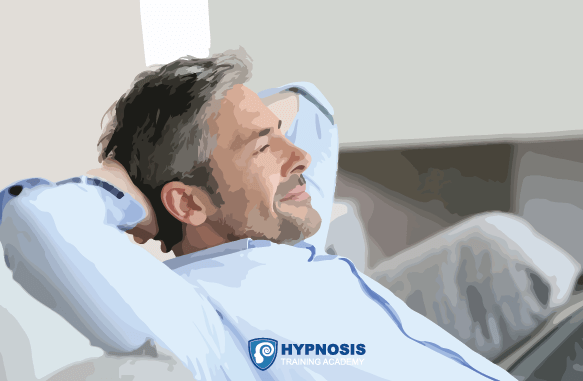 In addition to these benefits of a career in hypnotherapy, there’s also the knowledge that as a hypnotist you are helping people make positive changes in their lives. There’s nothing more rewarding or satisfying than being a catalyst for good and seeing these changes first hand. For those who decide to take up a career in hypnotherapy later in life, it can provide a sense of purpose and productivity. A feeling many people say they lack once they reach retirement. As a way to calm minds and beat stress, meditation and mindfulness are gaining popularity as effective techniques in the classroom, especially for students who feel increasingly pressured to excel on exams and succeed with college admissions. Studies carried out by David S. Black and colleagues, at the University of California suggest that mindfulness and meditation can be used to calm the mind and reduce levels of aggression in the classroom, and thus reduce some of the pressure on teachers. A campaign to promote mindfulness in schools was already launched in the UK, and with the growing acceptance of mindfulness and meditation in schools, it’s easy to see how this can be taken a stage further. 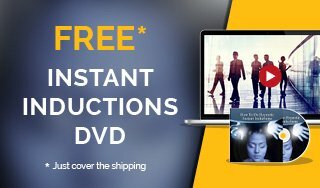 And as hypnosis can be used to help with the study process and help retain information, combat exam nerves, as well as resolve behavioral issues, there’s an opportunity for it to be added to the list of alternative stress reduction and learning techniques. Knowing these emerging trends will keep your mind open for opportunities to incorporate new in-demand techniques into your practice. Or maybe it will even motivate you to open up a new business and fill a gap in hypnosis demand. Hypnotists are in greater demand than ever before. So it’s all about keeping up with the things people want to resolve to help them lead better lives. And as long as you focus on being a force for good and positive change, you’ll never have a shortage of clients.